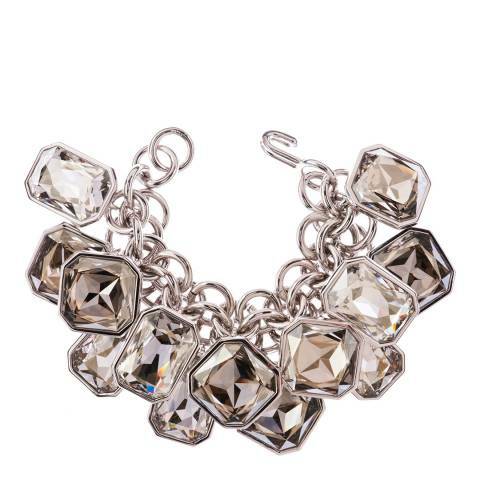 The handmade chainmail links abounds with SwarovskiÂ® crystal. The bracelet is finished in rhodium with SwarovskiÂ® stones in crystal and sliver shadow. The handmade chainmail links abounds with Swarovski® crystal. 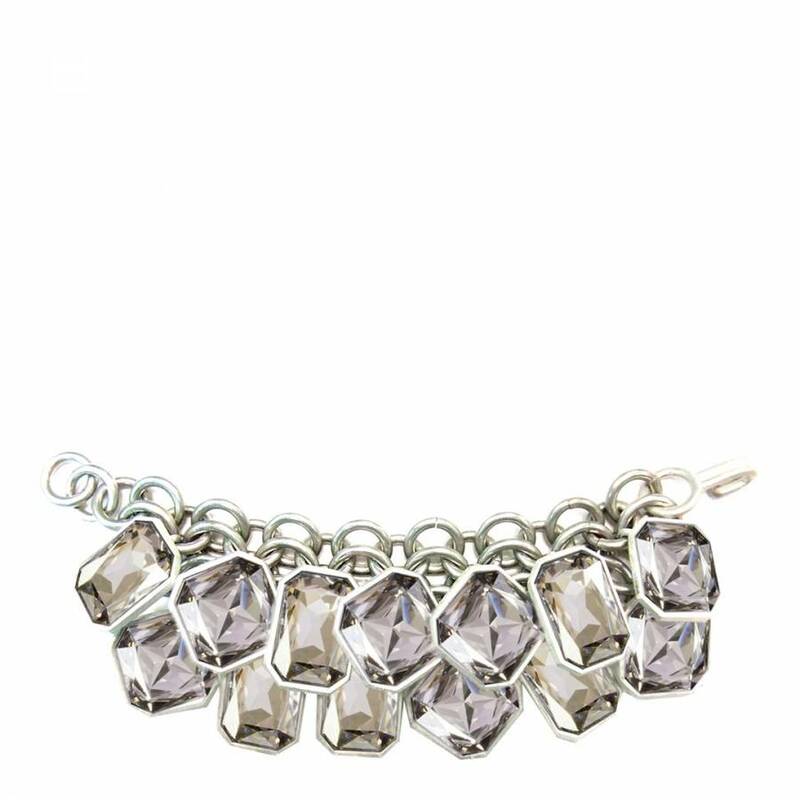 The bracelet is finished in rhodium with Swarovski® stones in crystal and sliver shadow.